1 Federal Census, MA, Berkshire County, 1900, Pittsfield Ward 5, E.D. 73, Sheet 13B, Image 27 of 34, Ancestry.com (Online Census Images). 2 Federal Census, MA, Berkshire County, 1910, Pittsfield Ward 5, E.D. 77, Sheet 2 A, Image 3 of 54, Ancestry.com (Online Census Images). 3 Find A Grave, (accessed 10/15/2016). 4 Massachusetts, Mason Membership Cards, 1733-1990, Membership card for Kenneth Seymour Robbins, Ancestry.com (Online Database). 5 Massachusetts, Town and Vital Records, 1620-1988, Pittsfield, School Census, Record for Kenneth Robbins, Ancestry.com (Online Database). 6 U.S., Department of Veterans Affairs BIRLS Death File, 1850-2010, Death record for Kenneth Robbins, Ancestry.com (Online Database). 7 U.S., Social Security Death Index, 1935-2014, Death record for Kenneth Robbins, Ancestry.com (Online Database). 8 U.S., World War I Draft Registration Cards, 1917-1918, Draft registration for Kenneth Seymour Robbins, Ancestry.com (Online Database). 9 U.S., World War II Draft Registration Cards, 1942, Draft registration for Kenneth Seymour Robbins, Ancestry.com (Online Database). 10 Vermont, Marriage Records, 1909-2008, Marriage record for Kenneth Seymour Robbins and Edith Prescott Luckett, Ancestry.com (Online Database). 11 Roberts, Gary Boyd, The Royal Descents of 600 Immigrants to the American Colonies or the United States , Baltimore: Genealogical Publishing Co. (2008), 491. 13 Wikipedia, "Edith Luckett Davis", (accessed 03/06/2013). 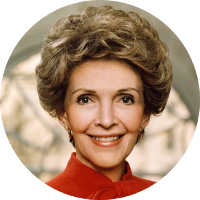 14 Wikipedia, "Nancy Reagan", (accessed 03/06/2013).